Did you know that August 31st is Nation Trail Mix Day? Nope, me neither but it's been around for several years. This holiday is all about enjoying the fun, delicious snack that has been popular with hikers and backpackers for years. If you've never had this healthy snack, let August 31st be the day you learn how to make at least one of the many flavor varieties that's popular. Trail mix or GORP (good old raisins and peanuts) is a snack food commonly used by outdoor lovers for activities such as hiking, backpacking, mountaineering and camping. This food mixture is termed scroggin in New Zealand and Australia, and Studentenfutter in German-speaking countries. A mix of only nuts, especially those rich in omega-3 fatty acids, and raisins is also known as student food. 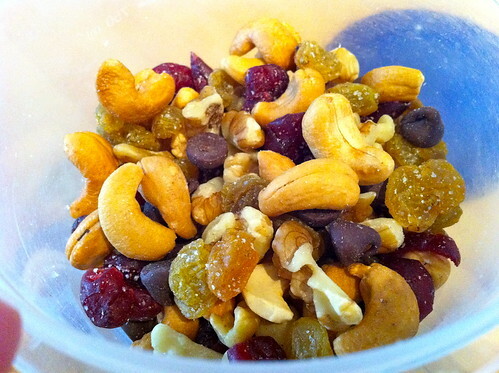 Trail mix usually consists of a mixture of nuts and dried fruits such as raisins or cranberries. Other ingredients such as chocolate chips may also be included. There are other options that outdoor activities work well with. Premium nut mixes combined with dried fruit can replenish energy and are a bit healthier than all the chocolates that can be substituted by quality dried fruits. While prepackaged commercial variants of trail mix are readily available, mixing up a homemade batch is always a fun alternative. Here is my personal GORP recipe. 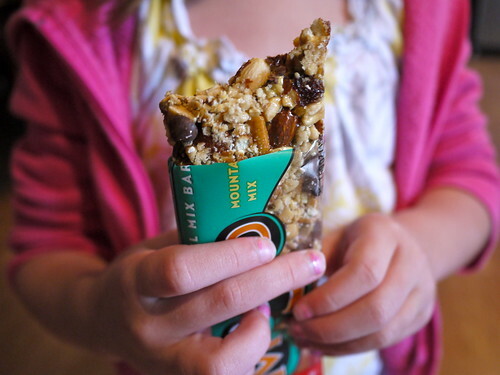 One of my favorite ways to get my fill of "trail mix" while outdoors is via CLIF Mojo bars because they're essentially a trail mix blend that has been formed into a convenient snack bar. They're the perfect combination of sweet and salty. 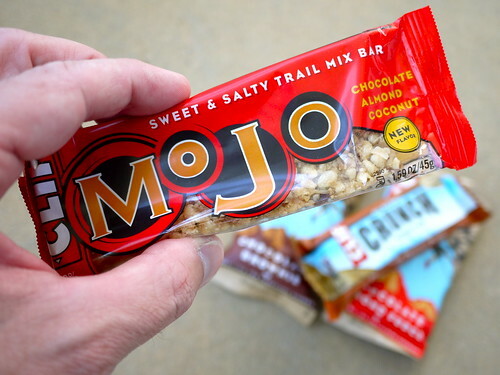 Mojo bars also have 8-9g of great tasting protein per bar. To help celebrate this amazingly crunchy national holiday, my good friends at CLIF Bar have agreed to run a fun giveaway for readers of Brian’s Backpacking Blog. There will be three CLIF Mojo Bar prize packs up for grabs to three very lucky winners. To enter all you have to do is to select the options below via the Rafflecopter plugin that work for you. As always, the more of the options you can complete, the more entires you get and the better your chances are of winning - so what are you waiting for? In an effort to help encourage others to make their own trail mix (GORP) please feel free to share any recipes or food combinations that you personally like or have tried with success. It will be fun to share and give each other ideas of how to make the perfect trail mix. Have fun and good luck with the Mojo prize packs! Disclosure: CLIF Bar provided Brian's Backpacking Blog with complementary Mojo Bar prize packs for this giveaway.